If there is any Indian airline that could proudly say that "we made profits", it is Indigo. When all other Indian carriers were reeling under losses and huge debt burdens, (mind you, even Spicejet was in doldrums), it was Indigo which reported the best on-time performance, efficiency and profitability. It did not take much time for it to become the largest market share garner as there was no significant competitor within its business model. The person who kept the airline focused on its way to become the number one airline of India was its CEO Aditya Ghosh, a person who does not need an introduction. Changing times call for changes as well. As Indigo plans to move from short-haul to long-haul flights, covering more international destinations, it was considered incumbent to have someone who is experienced in handling large airline operations. This, along with a number of follies that Ghosh reportedly committed in past, led to his ouster. 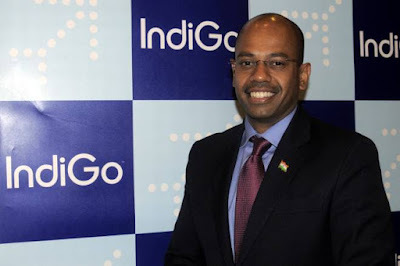 The ramifications of this move could be felt for a long time to come, despite assurance from Indigo investors that the airline will move ahead strongly. Was Ghosh so incompetent to handle an airline that was set for expansion? Are the reasons for his ouster merely eyewash? Were there other reasons which could have led to the ouster that have not been made public? Was there a difference of strategic approach in expansion plans? Were the expats considered to be a lot more competent that Ghosh and team to lead the airline in the future? There are many questions which will be answered in the near future and the way Indigo expands begins to unfold. Whatever may be the outcome of the move, two things are for sure. One, the new entrants will have a lot of pressure to prove their mettle and herald Indigo in new phase. If they are able to achieve it, the decision to oust Ghosh would be marked correct and bygones will be let to be bygone. Second, this move reinforces the supremacy of investors as against a powerful CEO. Investors have proven that they rule the board. As Indigo plans to expand into the medium and long-haul aviation segments, it will have powerful competitors. Will it be able to turn the tables on them? It will require a lot of doing and a careful product differentiation to beat the best in the field. We can speculate it to now have a frequent flyer program, more cabin choices, associations and alliances with other airlines and enlarged bouquet of services. Though it does has a lot of goodwill and market share to bank upon for the next phase, and this will make things a lot easier for it, it shall not squander the advantage away. For a long thought, will it be able to do to the Gulf airlines what they did to the American and European airlines- make India the preferred aviation hub for long haul flights? 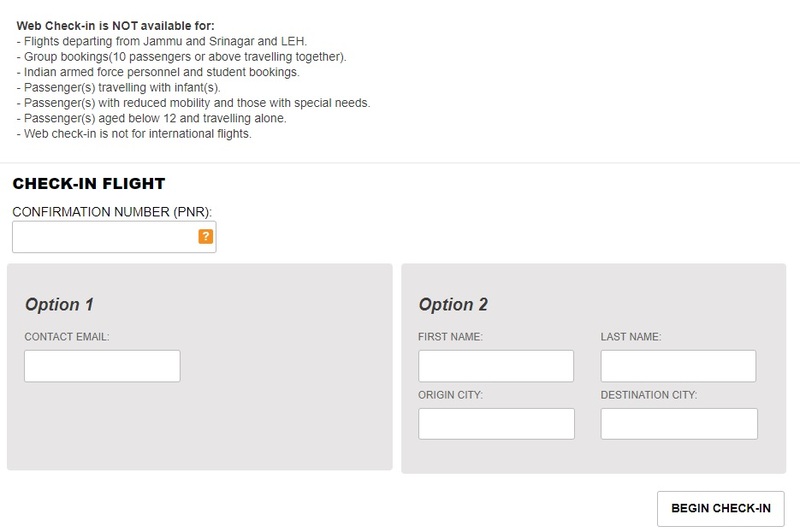 What Makes Spicejet Check-in So Easy? If you are flying on Spicejet, then the biggest relief could be that you are able to check in using a number of ways. There is no sole dependence on the Spicejet airport desk which was the only way to check in before the flight. As travel technology has advanced, it has made possible to explore various other ways of checking-in. While it is true that each of it comes with its own set of limitations, there is no denying the fact that the pressure on airport check-in desk has been reduced considerably. Basically, both of these are driven by internet and the only difference is of using the different devices and platforms. While web check in is done using the desktop or laptops, the mobile check in can also be done using the mobile application of the airlines. This application needs to be downloaded from either the Play Store or Apple itunes Store in your mobile. Once done, the process of check-in can be accomplished in no time from any place and at any time. So, you can get your seats reserved and order for special services or meals right from you mobile device or desktop, without having to visit the airport or contact center of the airline. Even as checking in on Spicejet flights has become a lot more easier, security concerns might still require you to carry a paper print-out of ticket and e-boarding pass. The one present in the mobile is not going to be accepted at the airports in India. Proposal for allowing the same has been put forth many times by airlines but this has not been accepted so far by the security agencies at the airport. In How Many Ways Can You Check In On Jet Airways Flights? There was a time when passengers had to queue up at airports for checking-in. The air passenger traffic and airlines were also limited at that time as compared to the present day numbers. If the same method of airport counter check in is the only means to get the boarding pass, you can expect a lot of congestion at airports. Technology has come to the aid of airline, airport management and, ultimately, passengers. They can make use of a number of means at their disposal for checking-in through a number of alternative means. There might be quite a few ifs and buts, and a few terms and conditions on who can avail this and where these can be availed. Jet Airways allows you to perform check-in in a number of ways, not just at the airport check-in counter. In order to make check-in from remote means possible, especially through the online check in medium feasible, it is pertinent to provide some kind of facility for the passengers to leave their check-in baggage and proceed for security check. Since the airlines do provide the check in baggage allowance and also the web check in, passengers having check in bags need to get their tags and leave these at some designated points. Jet Airways provides these counters at designated airports in India and in other cities of the world. 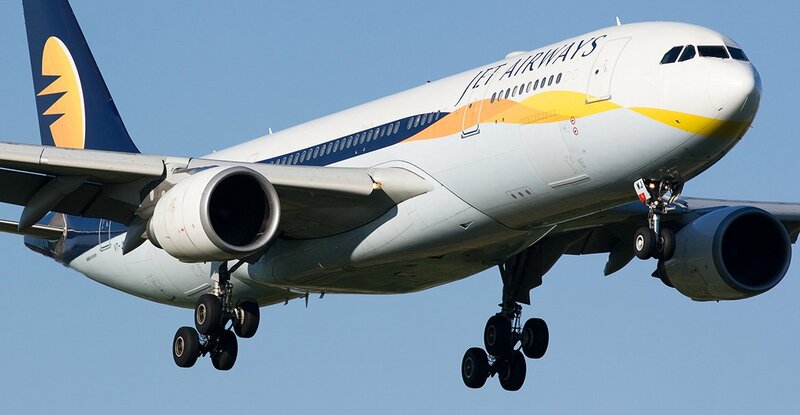 Passengers who have performed Jet Airways online check-in either through its mobile website or the mobile application, can use these facilities. Take a note of these cities since this advance information can save you a lot of time. Etihad changes allowance rules- Who Gained, Who Lost? Etihad, the Abu Dhabi flag carrier, has again changed its baggage allowance rules. Moving away from the piece-based system of allowance for almost all of its routes except for United States and Canada, it has embraced the weight-based system yet again. The new rules will be applicable for tickets bought after 31 January, 2018. For the ticket bought before this date, the old policy will continue. The minimum allowance for piece based system was 1 bag of 23 kg, and this will be replaced with a minimum allowance of 30 kg for most of the routes. With this shift in Etihad baggage allowance policy, let us examine, who will be carrying more allowance and who will take less? For people travelling from/to South America and Bermuda, the allowance will now be as per the General Policy (minimum 23 kg for Deal fare tickets). This will be a loss since earlier the allowance was 2 bags of 23 kg or 47 kgs in total. Traveller flying to or from Africa earlier used to take 2 bags of 23 kg each as a minimum allowance. This has now changed. Etihad has re-jiged the allowance by providing 40 kg allowance for people travelling out of African countries on Economy and Business class flights. For flights to Africa, it has divided into two parts- those arriving from GCC, Lebanon and Jordan and those arriving from India, Pakistan, China, Japan, Hong Kong and Australia. The former are allowed 40kg as minimum allowance whereas it is 30 kg for the latter. Earlier, people travelling to/from UK from India, Pakistan and Bangladesh could carry at least 2 bags of 23 kg as allowance, now all flights from Europe to India, Pakistan, Bangladesh and Philippines will get only 30 kg as minimum allowance. On flights from these destinations to some European countries would be minimum 30 kg. Specific mention has been made of three flight segments. c. Between UAE, Bahrain and Kuwait- Only Hand baggage allowed in Deals fare ticket. Even the General Policy which would cover all other routes which have not been mentioned has been changed from piece-based to weight-based. Who Has to Get Emirates OK to Board Permission? Emirates had added the OK TO Board provision as a condition for entering UAE for passengers coming from certain countries. This additional check was introduced in order to prevent illegal travel to UAE using forged documents. As UAE is one of the most cherished travel destinatin for people of Indian subcontinent, there is a great desire to visit Dubai and other Emirates, even if it means using wrong and crooked means to gain entry. Who have to go through this process? a) Citizens of India and Pakistan departing from their country of citizenship. b) Citizens of Sri Lanka or Bangladesh who are travelling from India to Pakistan. It shall be noted that all citizens of Sri Lanka and Bangladesh are not subjected to this rule. Only those who are travelling from India or Pakistan have to perform this additional Emirates check in step. c) Indian citizens whose passports are stamped with Emigration Check Required stamp and are travelling as seamen or ship crew to certain countries. These countries are Indonesia, Iraq, Afghanistan, Bahrain, Jordan, Kuwait, Thailand, the United Arab Emirates, Oman, Qatar, Lebanon, Libya, Malaysia, Saudi Arabia, South Sudan, Sudan, Syria or Yemen. Passengers are required to fill this Ok-to-Board form for this purpose. The above video guides the passenger on how to check in on Ryan Air online in step-by-step manner. Ryan Air online check in can be done free from 4 days and up to 2 hours before the scheduled departure of flights. Or, it can be done from 30 days when buying reserved seat on paying charges. Passengers who are not already registered with the Ryan Air website are required to provide their reservation number and email Id that was used while booking ticket. Thereafter, passengers are required to provide the details of their travel documents along with the nationality, date of birth of the passenger. Then, passengers can either pick their seats or it will be automatically assigned to you. The last step is the printing of boarding pass or getting it online in your email. 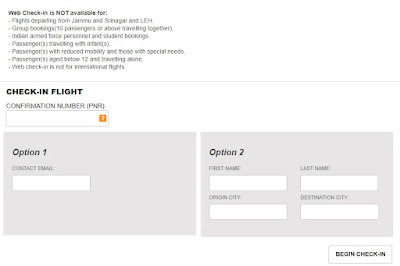 You can perform online check in after booking tickets after retrieving the booking. You can also add checked bags, change name, add special assistance, change flight, confirm itinerary, and allocate or change the seat.